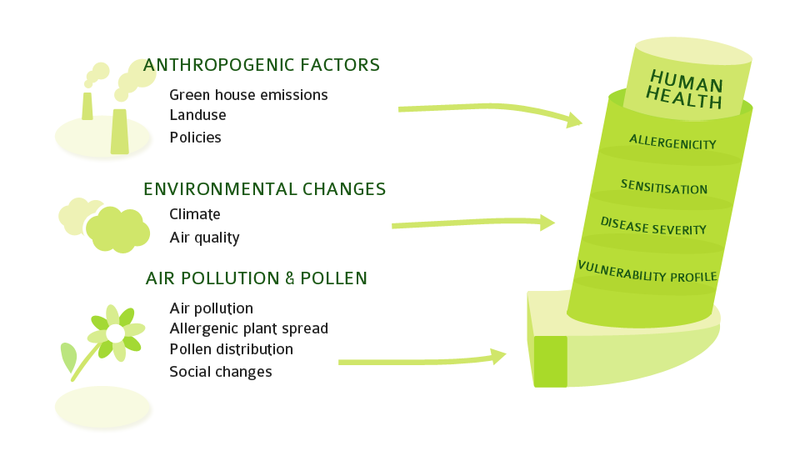 What is the connection between pollen-related allergies, global and regional climate, air quality and land use? How can we meet the health and environmental challenges represented by alien plant species invading Europe? If you've missed it, it's not too late to catch up. 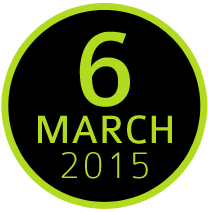 Watch the videos, read the abstracts and much more in the programme section. Michelle Epstein is a medical doctor specialized in Internal Medicine as well as Allergy and Clinical Immunology. After a post-doctoral training in Basic Immunology at Yale University and at the National Institutes of Health, she established her research group in the EU at the Medical University of Vienna. Epstein’s team combines interests in clinical medicine with basic research on the mechanisms of allergic disease initiation and perpetuation, addressing issues related to disease susceptibility, the factors governing disease severity and chronicity, and drug discovery. Michelle Epstein is member of the Directorate General for Health and Consumers (DG Sanco) Scientific Committee on Newly Emerging Identified Risks and on Working Groups at EFSA (European Food Safety Authority) on allergenicity and adjuvanticity of GMOs. She is the Atopica project coordinator and her team focuses on the influence of the environment on the allergenicity of ragweed pollen in experimental models. 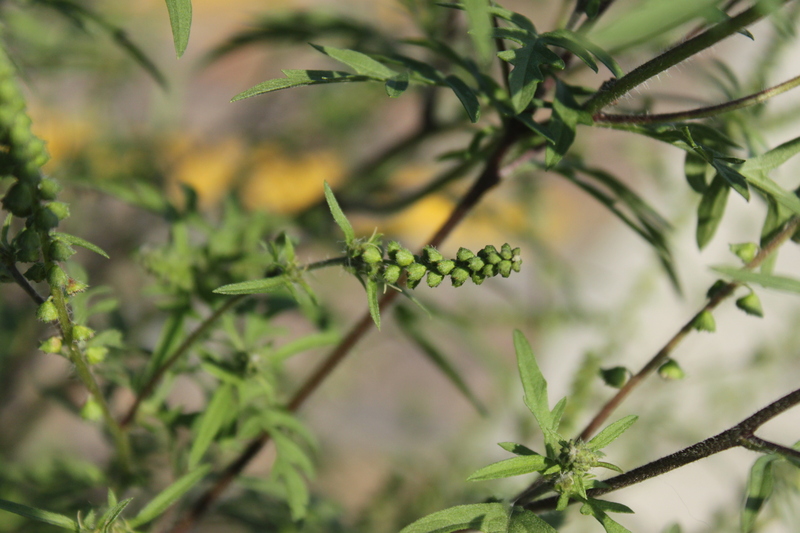 Common ragweed (Ambrosia artemisiifolia) is a native plant species to North America and an invasive alien species in Europe. First recorded in Europe in the mid 19th Century, it began to spread rapidly after 1940 via transportation networks and contaminated crop seed and is now responsible for significant health and economic impacts in the most infected areas: the Pannonian Plain including Hungary and neighbouring countries, the Rhône Valley in France and Western Lombardy, Italy. 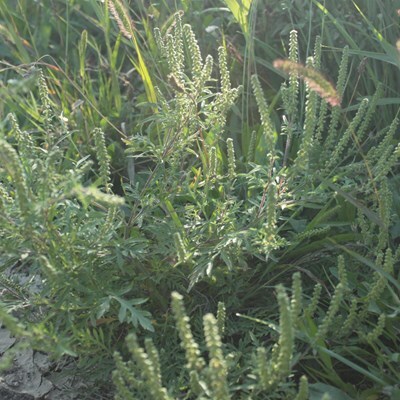 The spread of ragweed is an on-going invasion event in Europe and there is, therefore, an opportunity to limit its future impact on human health and agriculture by anticipating the rate and extent of future spread and to design control strategies accordingly. 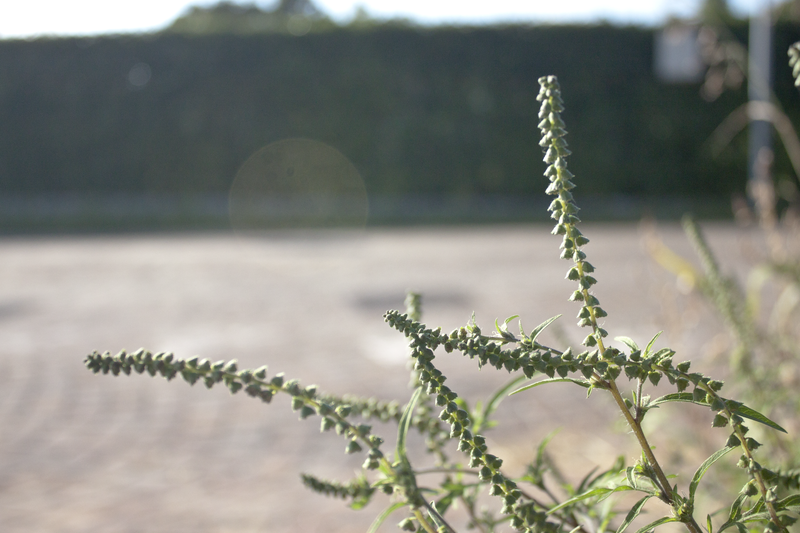 Atopica scientists have used computer models to simulate the growth and pollen production of ragweed across Europe under current conditions and future climate scenarios. 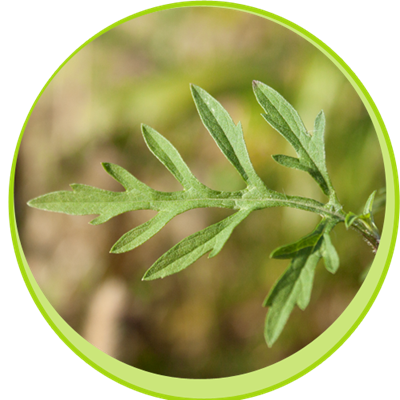 The models strongly indicate that in the absence of control measures, ragweed will continue to spread even without climate change as there are suitable areas that it is yet to reach. Climate change will extend the potential northward range of the species and also increase pollen production in already infested areas. The different models all agreed that, in the future if we do nothing, ragweed pollen loads across Europe will increase with consequences for human health. However, the extent of the future problem depends very much on the rate of spread and efficacy of control measures. Jonathan Storkey has 15 years experience in weed ecology and has established a body of work on the plant functional traits that determine the response of weeds to the environment and management and their effect on crop yield and biodiversity. He has also been responsible for developing and applying modelling techniques to the challenge of reconciling weed competition with biodiversity. 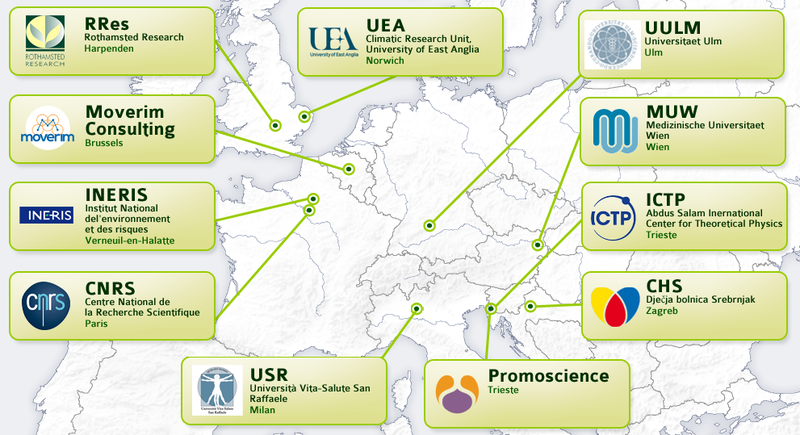 He is currently contributing to the BBSRC project on plant communities under climate change and two EU projects, RUBICODE and ENDURE. Dr. Storkey is leading the development of a weed trait database that will improve our understanding of weed functional ecology and provide parameters for a generic model of weed population dynamics. These projects taken together are contributing to a novel framework for predicting the impact of change on annual plant communities by combining process based models with databases of plant traits to quantify the shift in available ecological niches in terms of functional trait space. Iain Lake is a Senior Lecturer in Environmental Science and a member of the Risk, Health and Decision Support Group at the University of East Anglia. He has over 13 years’ research experience in the School of Environmental Sciences and is an environment and health specialist with additional expertise in Geographic Information Systems (GIS) and statistical analysis. He is currently working on projects looking at the impact of weather and climate change upon a number of infectious and non-infectious diseases including consideration of how societies adapt to changing climates. He has recently been working on the development of health indicators of climate change for the European Centre for Disease Prevention and Control (ECDC) and has recently completed a review for the UK food regulator on the impact of climate change upon food supplies in the UK. 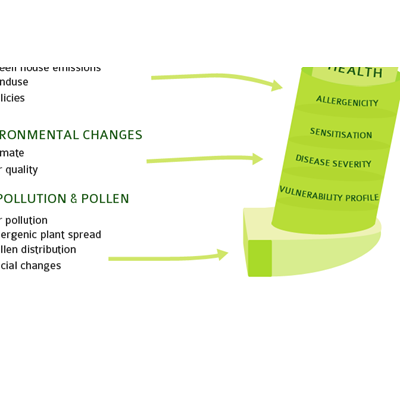 In Atopica, his team uses an integrated approach to investigate the association between pollen, climate, and air quality and the prevalence and severity of allergic disease at multiple space and time scales. Davor Plavec is a medical doctor, Specialist in Occupational Medicine. He has over 20 years’s experience in the fields of allergology, pulmonology, occupational medicine, lung and nose function diagnostics and toxicology for over 20 years. He is a senior researcher and supervisor and head of the department at the Children’s Hospital of Srebrnjak since 2005. He published more than 50 papers in peer-reviewed journals. Allergy is far more than huffing and sneezing for a couple of weeks during the pollen season. The quality of life of patients suffering from allergic rhinitis and allergic asthma is often severely impaired as is their social life, their career and even their school performance. Despite the high prevalence of respiratory allergies and their huge economic-social burden, these conditions are often largely ignored by society as a whole. The data collected by the European Federation of Allergy and Airway Diseases Patients Association (EFA) shows that approximately 30% of the European population suffers from respiratory allergies, and recent studies show that between 10% and 20% of adolescents aged 13 and 14 suffer from severe allergic rhinitis. One of the main allergic symptoms provoking agents are pollen grains released by plants. The most important airborne pollen types in Europe are grasses pollen, including ragweed Ambrosia artemisiifolia. Lack of information on atmospheric pollen concentration in different European regions prohibits allergic patients from moving freely in Europe. Thus having precise pollen information is crucial for pollen allergy patients to move freely and to ensure a high live quality at their permanent place of living during the pollen season. 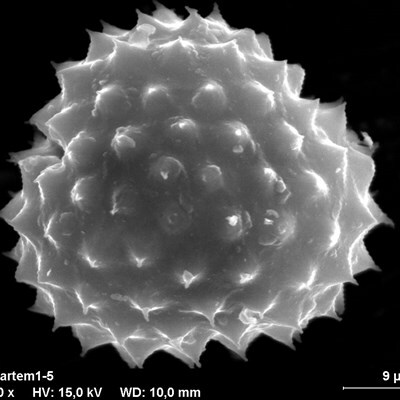 Accurate knowledge of prevalent aeroallergens can improve the diagnosis and treatment of patients with pollen allergy. Still, there is no general obligation to monitor and communicate about the pollen situation in Europe, in contrast to air quality regulations. To increase prevention and ease allergy symptoms of patients, EFA advocates for (1) including pollen monitoring as a Member States’ obligatory task within the European air quality framework legislation; (2) securing and clarifying funding for pollen information and forecasting services in Europe. Roberta Savli works as a Deputy Director and EU Policy Advisor for the European Federation of Allergy and Airways Diseases Patients’ Associations (EFA) and is Treasurer of the Health and Environment Alliance (HEAL). Roberta occasionally represents EFA at three important fora: the Policy Advisory Group (PAG) of the European Patients’ Forum (EPF), the European Network for Smoking and Tobacco Prevention (ENSP), and the Patients’ and Consumers’ Working Party of the European Medicines Agency (EMA). Before joining EFA, she worked at the European Commission and the European Parliament. Roberta Savli holds a double master degree in European Studies from the College of Europe. 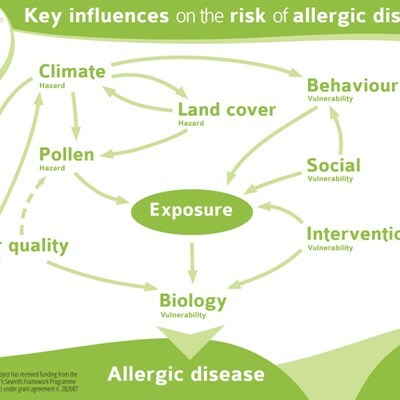 Policy opportunities that exist for preventing allergic diseases in the field of EU climate and environmental policies, particularly on air quality; how patients and health stakeholders can become involved. Anne Stauffer is Deputy Director at the Health and Environment Alliance (HEAL), a leading European not-for-profit organisation addressing how the environment affects health in the European Union (EU). 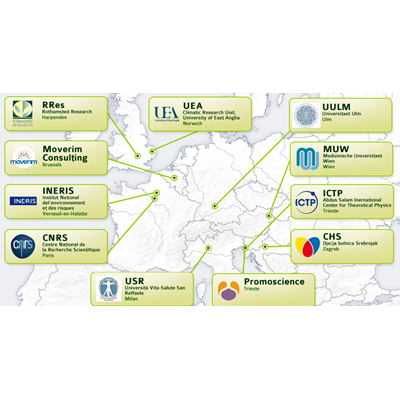 With the support of its more than 70 member organisations from 28 countries, HEAL brings independent expertise and evidence from the health community to different decision-making processes. Anne leads HEAL’s policy input to the EU Institutions on outdoor and indoor air quality, energy and climate and strategic files such as the EU’s Environmental Action Programme. 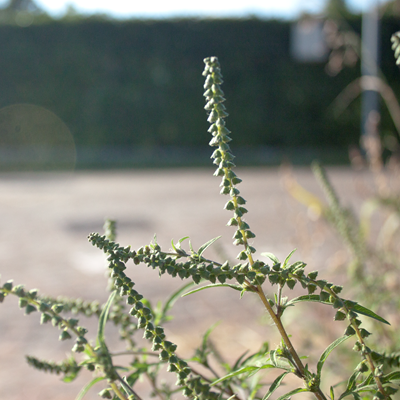 The North-Western area of the Milan Province is the zone most infested by ragweed in Italy and one of the zones most infested in Europe. In 1999 the Lombardy Region promulgated the first measures to prevent the spread of the plant and the production of its pollen, to protect the citizen’s health. These measures included the functions of the Local Health Authority (LHA) in the management of the problem. Since 2000, as LHA we have developed and improved our management strategy, a set of primary prevention actions: epidemiological study, assessment of direct health costs due to ragweed, studies on methods to limit the ragweed spreading, information, awareness and education of the Public Authority and the population, control of the territory (including aerobiological monitoring, surveillance of infested areas and town planning). 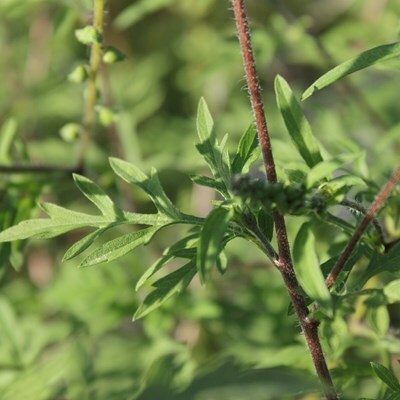 Several epidemiological studies were carried–out, demonstrating the increased prevalence of ragweed allergy and ragweed as main cause of pollinosis in the area. These studies are tools to quantify the impact on health, to point out the necessity to adopt a management strategy, to monitor its efficiency and the necessity to improve it. 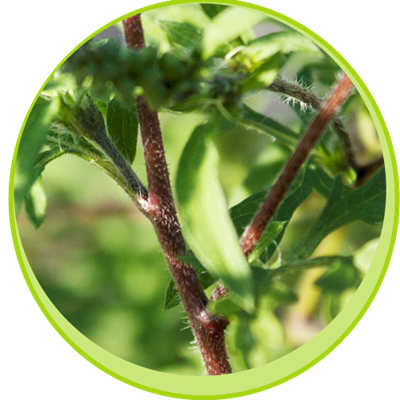 During 2013, the beetle Ophraella communa was observed feeding on ragweed plants, with an impressive “herbicide-like” effect and a parallel decrease in the ragweed airborne pollen levels and a reduction of the new allergic patients. 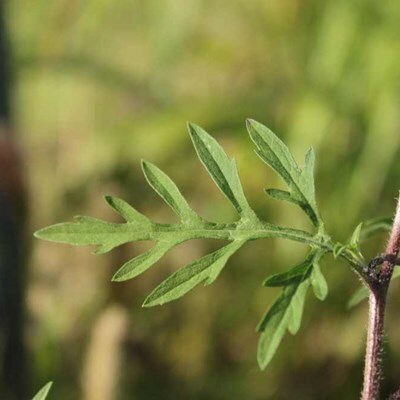 Studies are in progress to assess the long term effects of this beetle on concentrations of airborne ragweed pollen and the possibility to use it as management of ragweed. It would be important to implement a mandatory system of the allergy diseases data in all of Europe, including information on the kind of allergy and the prescribed drugs, in order to know in “real time” the epidemiological situation of the allergies, avoiding ad-hoc expensive studies. Our management strategy reached a good outcome, because it is based on the collaboration at local and international levels. Maira Bonini is responsible of the “Life Environments” Section of the Public Health Service of the Department of Medical Prevention, Local Health Authority Milan 1. Current President of the International Ragweed Society and Coordinator of the Italian Monitoring Network in Aerobiology. National Delegate and member of the Management Committee of the COST ACTION SMARTER (Sustainable Management of Ambrosia artemisiifolia in Europe). 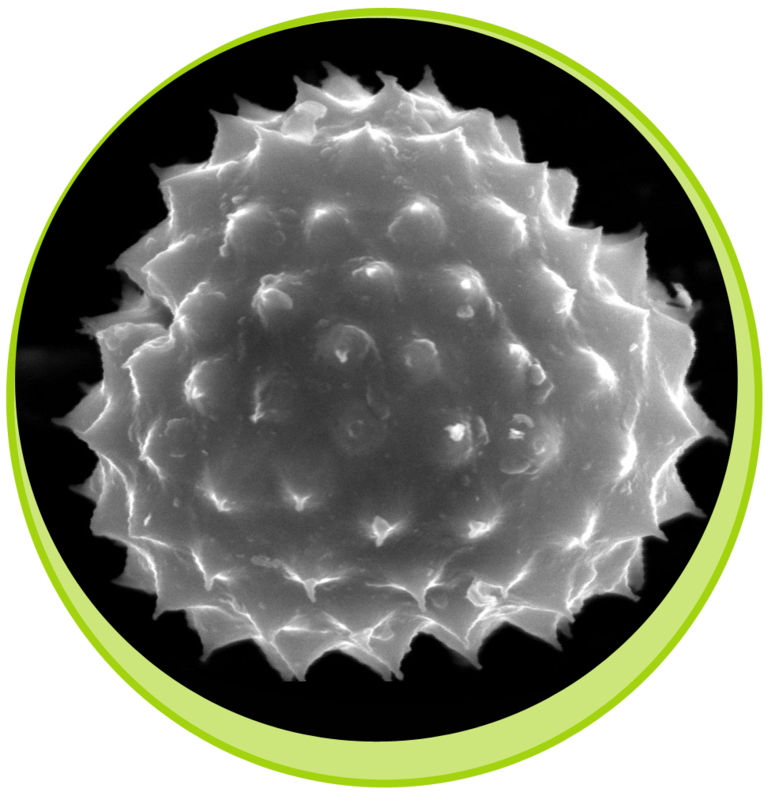 Member of the CEN Working Group n. 39, Technical Committee 264 “Quality of Air” for the standardization of the “Sampling and analysis of airborne pollen grains and fungal spores”. Member of the Ambrosia Working Group of the Lombardy Region. Teacher in several aerobiological basic courses and speaker in many Conferences and Congresses on Aerobiology and on Ambrosia. Author and co-author in National and International publications on Ambrosia. Christiane Pfeiffer is a dermatologist and allergist, currently a senior attending in the department of dermatology at Ulm University since 2007. She has a strong clinical background in autoimmune and allergic diseases. In 1998 she became a clinical attending at the department of dermatology at Dresden University of technology. Among other good clinical practice (GCP) treatment studies, she headed a subproject 'Heart in scleroderma' funded by the German Federal Ministry of Education and Research (BMBF), and performed research on activation and homing of immune cells in the autoimmune skin disease bullous pemphigoid. She currently leads the clinical work package in Atopica and organized the external ethics advisory board and the recruitment of participants for the geriatric clinical cohort in Germany. Filippo Giorgi is an international expert in climate modelling and climate change research for which he has over 20 years of working experience. He authored or co-authored over 200 papers in peer-reviewed scientific journals and is included in the list of most highly cited scientists in the geosciences. From 2002 to 2008 Giorgi was one of the vice chairs of Working Group I of the Intergovernmental Panel on Climate Change (IPCC), which won the 2007 Nobel Peace Prize and contributed to all five IPCC Assessment Reports to date. Giorgi is a member of a number of top international scientific committees, and in particular the World Meteorological Organization (WMO)-International Council for Science (ICSU) - Intergovernmental Oceanographic Commission (IOC) Joint Scientific Committee (JSC) of the World Climate Research Program (WCRP), which supervises the research activities of WCRP. In Atopica, he leads the work package dedicated to the collection and assessment of climate observations and model simulations for the recent past and future time periods. Augustin Colette completed his PhD in 2005 at Institut Pierre Simon Laplace (France). His work focused on Long Range Transport in general and, more specifically, on the coupling between the planetary boundary layer and the free troposphere on the oxidizing capacity of the atmosphere. He worked as Postdoc at Laboratoire de Météorology Dynamique (IPSL, France) in the team involved in the development of the Chimere chemistry and transport model and also as visiting scientist in the Environmental Fluid Mechanics Laboratory of Stanford University working on stable boundary layer inversion breakup in steep valleys. He is now with INERIS since September 2009 where he works on long-term modelling of air quality at the continental scale, with a focus on interactions with climate and global change in particular in the framework of the CITYZEN FP7 project. 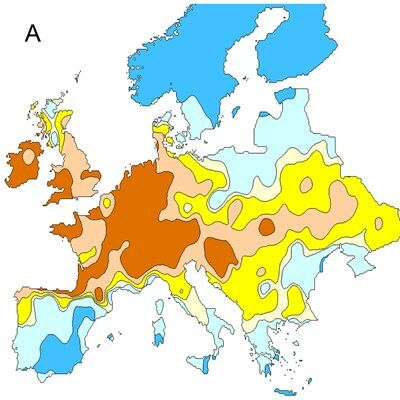 1) Review available climate variability and change information over Europe relevant to the generation of pollen and produce targeted simulations, as needed by the project. At the interannual variability level, one of the main outcomes of WP1 was the identification of seasonal climate variables which are tied to high pollen concentrations over the Southeastern Europe "hot-spot" (specifically, Croatia and Hungary). This was achieved through cross correlation analysis between climate (temperature, precipitation) and pollen data at Croatian and Hungarian stations. A climate/pollen index was identified involving temperature and precipitation conditions in the pre and peak pollen seasons (June-July, and August-September, respectively). This index shows that high pollen amounts are tied to wet/cool conditions in the pre-pollen season and hot-dry conditions during the peak season. It is envisioned that this index can be used for seasonal prediction of pollen amounts over the region based on seasonal climate forecasts. Concerning future climate projections, in line with previous generations of models, also the CMIP5 ensemble shows that the central and southern European regions are expected to become substantially warmer and drier, with this signal being more pronounced with increasing greenhouse gas concentrations. 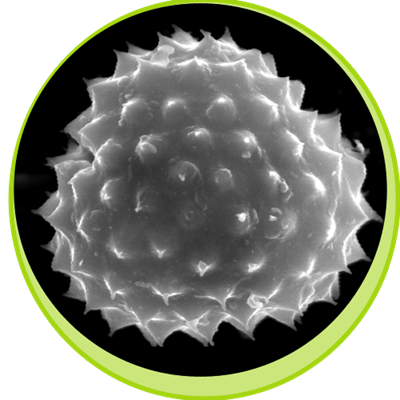 The Atopica pollen simulations show that these conditions generally lead to increased pollen amounts. In fact, in the ICTP model we find a near-linear relationship between temperature and pollen changes when averaged over the central and southern European regions, at least for the scenarios (RCP4.5 and RCP8.5) and time slices (2021-2040, 2041-2060) analyzed in Atopica. This relationship is important because it has the potential to provide first order information on the uncertainties associated with varying future climate projections, and an example of this use is provided in the presentation. Ambrosia artemisiifolia is an invasive weed in Europe with highly allergenic pollen. Populations are currently well established and cause significant health problems in the French Rhone valley, Austria, Hungary and Croatia, but casual introduced populations are also found in more Northern and Eastern European countries. To predict the potential for range expansion of A.artemisiifolia under future climates predicted by global climate models (GCMs), we used Sirius, a process-based model of weed growth, competition and population dynamics. Local-scale climate scenarios required as input by Sirius were generated by LARS-WG, a stochastic weather generator, by downscaling climate projections from the CMIP5 ensemble of GCMs used in the latest IPCC AR5. To capture uncertainty in predicted impacts, we used 2 Representative Concentration Pathways - medium RCP4.5 and high RCP8.5 emissions, and 3 GCMs - GISS, EC-EARTH and HadGEM2, with low, medium and high climatic sensitivity. Sirius predicted a northward shift in the available climatic niche for populations to establish and persist for all combinations of climate scenarios, creating a risk of increased health problems in countries including the UK and Denmark. This was accompanied by an increase in pollen production due to the positive effect of increased CO2 concentration on biomass and pollen. The southern European limit for A.artemisiifolia was not expected to change; populations continued to be limited by drought stress in Spain and Southern Italy. The process-based approach to modelling the impact of climate change on plant populations has the advantage over correlative species distribution models of being able to capture interactions of climate, land use, management and plant competition at the local scale. However, for this potential to be fully realised, additional empirical data are required on competitive dynamics of A.artemisiifolia in different crops and ruderal plant communities and its capacity to adapt to local conditions. Mikhail Semenov, mathematician, leading specialist in modelling impacts of climate change on agricultural systems. He was a principal investigator of many national and international projects; in 2008, he was appointed Editor-in-Chief of Climate Research, an international journal on all aspects of the interactions of climate with organisms, ecosystems and human societies, including climate change impacts. Dr Semenov is one of the principal developers of a weather generator, which is used worldwide to construct local-scale daily climate scenarios based on projections from climate models: the LARS-WG model. 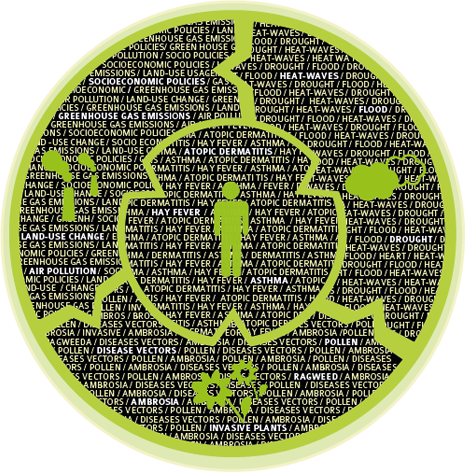 These scenarios are used to quantify risks and uncertainties of impacts. He is also a principal developer of a plant growth simulation model (Sirius model). The Sirius model was used in many model intercomparison studies and for the prediction of the composition of plant communities under climate change. His role in the project involves the development of local-scale climate scenarios across Europe and a model for pollen emission for Ambrosia and its progressive invasion in Europe as a result of changing climate. 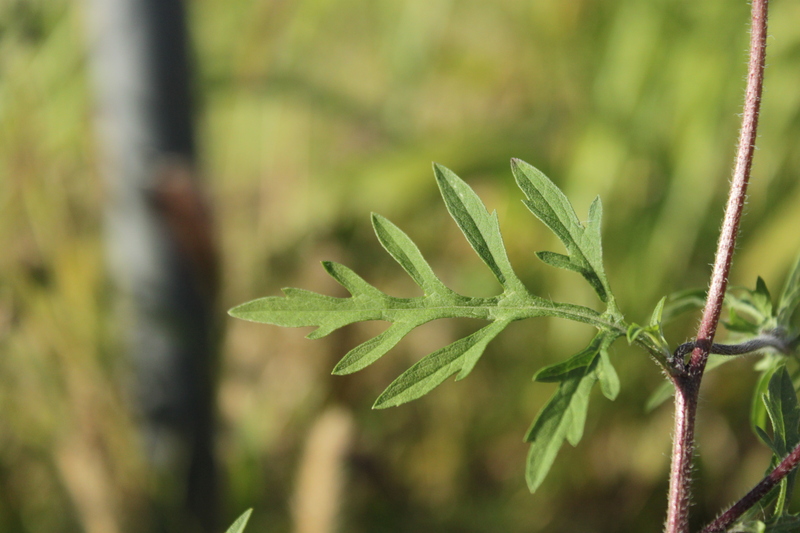 In order to investigate the impact of climate and land use changes on airborne ragweed pollens, two modeling suites have been set up. 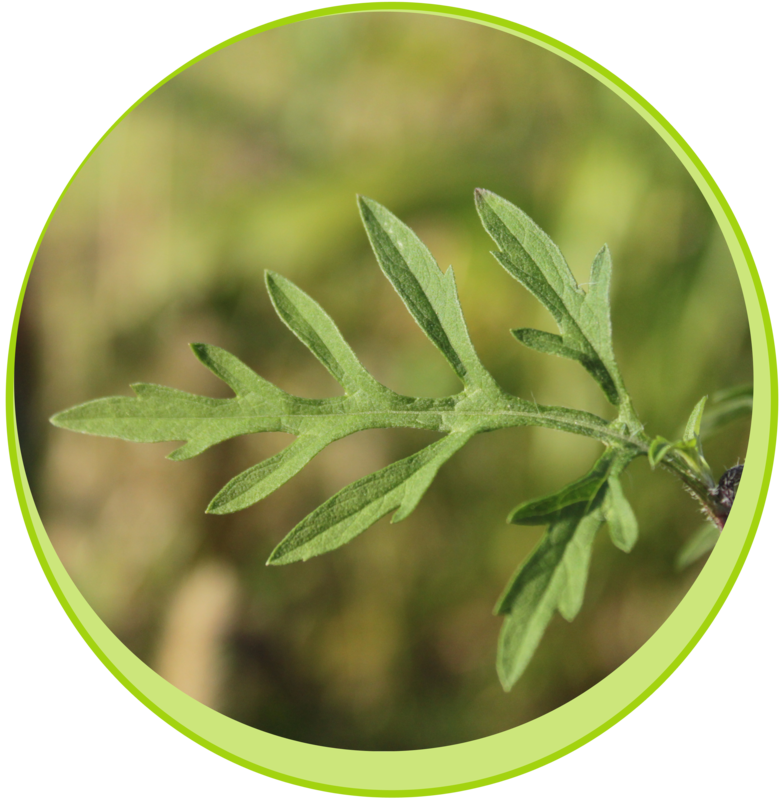 They include an ecological model aiming at simulating and predicting the evolution of the ragweed plant establishment climate suitability. Together with land use changes and with a simplified model of seed diffusion, this allowed to provide several scenarios of the plant density in the future. Two production, emission and dispersion models then allow to estimate the expected changes in airborne pollens. The talk will describe methodologies and uncertainties of such a modeling, and preliminary results. Robert Vautard (Laboratoire des Sciences du l'Environnement - LSCE) has 25 years’ research experience in atmospheric sciences: atmospheric chemistry and air quality studies in particular. He has coordinated the development of the CHIMERE regional air quality model, now used in operation as the national French air quality forecast tool. He also has extensive knowledge on climate which he acquired from several weather regime and climate extreme studies. Vautard is a review editor of “Detection and Attribution of Climate Change: from Global to Regional”, chapter 10 of the Working Group 1IPCC report. He has published over 100 peer-reviewed articles and has an experience in management, being director of LSCE and deputy director of the Paris Climate Consortium (www.gisclimat.fr), whose objective is to foster interdisciplinary research on climate change impacts. 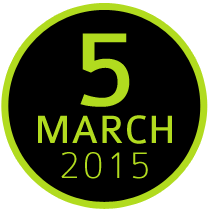 He currently leads the work package on air quality and pollen modelling in Atopica. In particular, his team focuses on land use scenario provision, regional climate simulations and statistical analysis of the relations between climate variability and pollen concentrations. Air quality is expected to evolve substantially in the coming decades under the combined pressure of climate change and long range transport of air pollutant. Ambitious air pollution policies have been designed in the recent past to improve the current situation, and it is legitimate to assess their long-term efficiency. 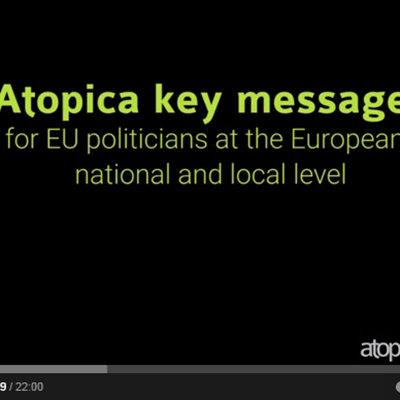 This question was addressed in the Atopica project by exploring the air pollution projections scenarios of the European Commission revised in 2013 as part of the Thematic Strategy on Air Pollution. Two state-of-the-art Chemistry Transport Models (Chimere and RegCM) were used in combination with climate models to produce maps of air pollution at the mid (2030) and long term (2050). A number of sensitivity experiment allow discussing the respective importance of air quality management policies and climate change, as well as the main scientific uncertainties. Documenting such uncertainties is crucial before the modelled air quality projections can be integrated with climate and pollen projections to assess future health impacts. Augustin Colette completed his PhD in 2005 at Institut Pierre Simon Laplace (France). His work focused on Long Range Transport in general and, more specifically, on the coupling between the planetary boundary layer and the free troposphere on the oxidizing capacity of the atmosphere. He worked as Postdoc at Laboratoire de Météorology Dynamique (IPSL, France) in the team involved in the development of the Chimere chemistry and transport model and also as visiting scientist in the Environmental Fluid Mechanics Laboratory of Stanford University working on stable boundary layer inversion breakup in steep valleys. He is now with INERIS since September 2009 where he works on long-­-term modelling of air quality at the continental scale, with a focus on interactions with climate and global change in particular in the framework of the CITYZEN FP7 project. Living in a changing climate is becoming a challenge for all kinds of human activities. Mitigation of global warming is of utmost importance to avoid further and stronger changes in our climate. At the same time, adaptation to today‘s and future changes is needed. To address both, a new field of activity developed within the last couple of years: climate services. Their aim is to develop and deliver easy understandable and useful information for decision makers in public and private business and society as a whole. The German Climate Service Center 2.0 was one of the first institutions worldwide bridging the gap between scientific climate change knowledge and user needs. Developing prototype products and services, the Climate Service Center 2.0 orients its activities toward consultation of climate change topics and adaptation to climate change impacts. It prepares high quality and state of the art information for decision makers. An important data pool for this activity is provided through the EURO-CORDEX initiative. EURO-CORDEX is the European branch of the CORDEX initiative and is producing ensemble climate simulations based on multiple dynamical downscaling models forced by multiple global climate models. The aim is to improve climate information, in order to enable the European society to better adapt to unavoidable climate change and to design more efficient mitigation strategies. How can we utilize these data for supporting the user needs? What are the lessons learned from the German Climate Service Center and where are we heading to? What are the roles of partners and networks? And how might a new field of expertise like climate services develop and stimulate the job market? These questions will be discussed and examples will be given. Daniela Jacob studied meteorology in Darmstadt and completed her dissertation in Hamburg. Afterwards she has been a researcher at the Max Planck Institute for Meteorology in Hamburg since 1993 where she developed the regional climate model REMO. In June 2010, she was appointed as one of the lead authors of the 5th Assessment Report on Climate Change of the Intergovernmental panel on climate change (IPCC). Daniela Jacob was leading the “Climate System” department of the Climate Service Center since 2010. She has taken over as Acting Director of the Climate Service Center 2.0 as of June 1st. 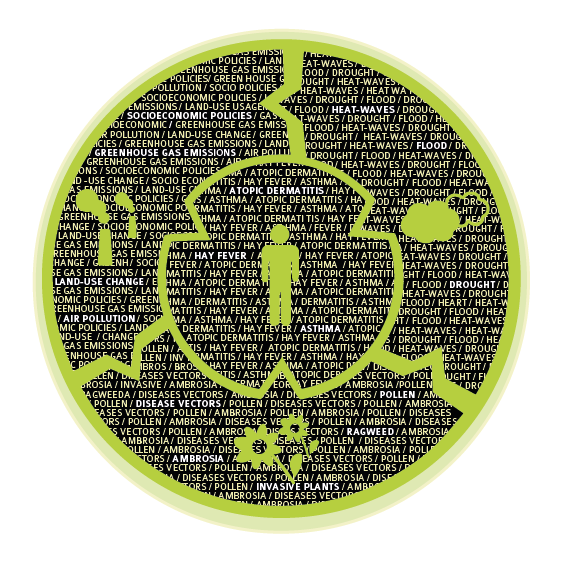 The Center is the main contact for all climate-change related questions and for information on adaptation strategies. It is intended as an information and consulting platform for decision makers within the spheres of politics, economics and administration. Within the FP7 project Atopica (Atopic diseases in changing climate, land use and air quality) Children`s Hospital Srebrnjak (CHS) is one of two clinical centers involved in cross-sectional prevalence data collection in children at different sites of exposure to pollen (especially ragweed) and air pollution. 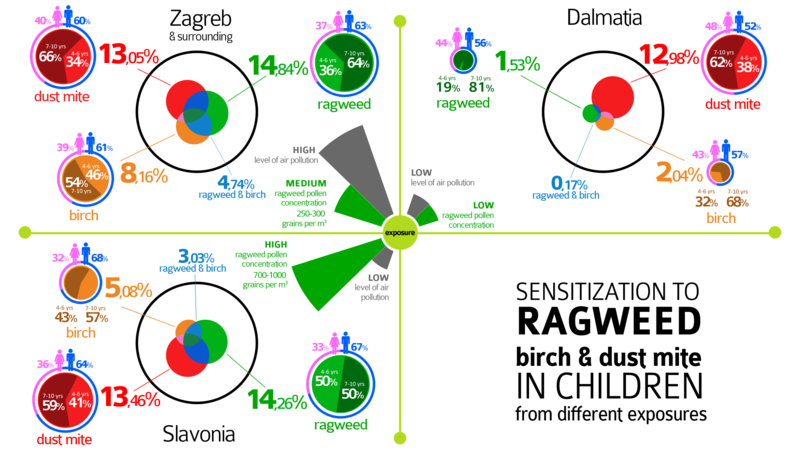 CHS also conducted a case study aiming at identifying spatial data (children`s mobility and place of residence) in relation to exposure to ragweed pollen and pollutants, which might give more insight into the complex interaction of environmental and endogenous (e.g. genetic/epigenetic predisposition) factors contributing to both allergic sensitization and clinical features of allergic diseases. 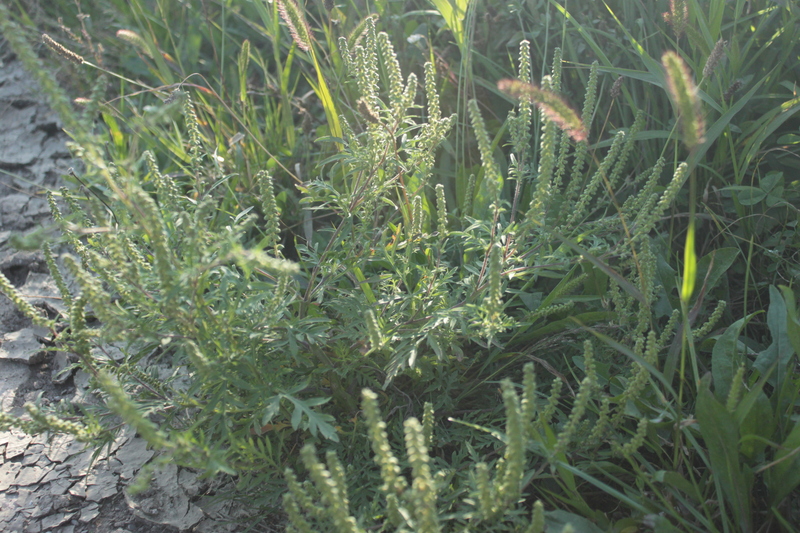 CHS has also identified de novo allergy to ragweed during three consecutive ragweed pollination seasons (2012-2014) and regularly followed-up on the morbidity and severity of these participants to yield the health impact data in relation to allergy to ragweed (and other contributing factors, such as air pollution, personal and family history etc.). 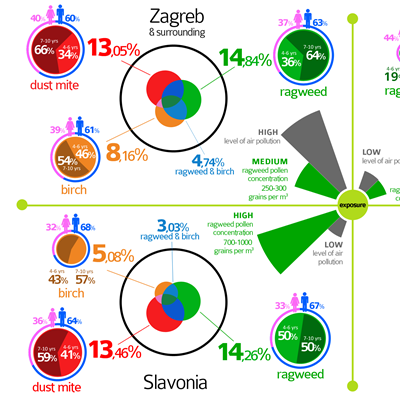 In order to determine the prevalence and future incidence in allergy to Ambrosia in children from different exposure sites for pollen concentrations and air pollution, CHS has recruited more than 4000 children from 3 distinct regions in Croatia: the continental north-western part of Croatia with its capital Zagreb and surroundings, characterized by medium high concentrations of ragweed pollen during pollination, the continental eastern region of Slavonia with high concentrations of ragweed pollen and the Mediterranean region of Dalmatia with low ragweed pollen concentrations. 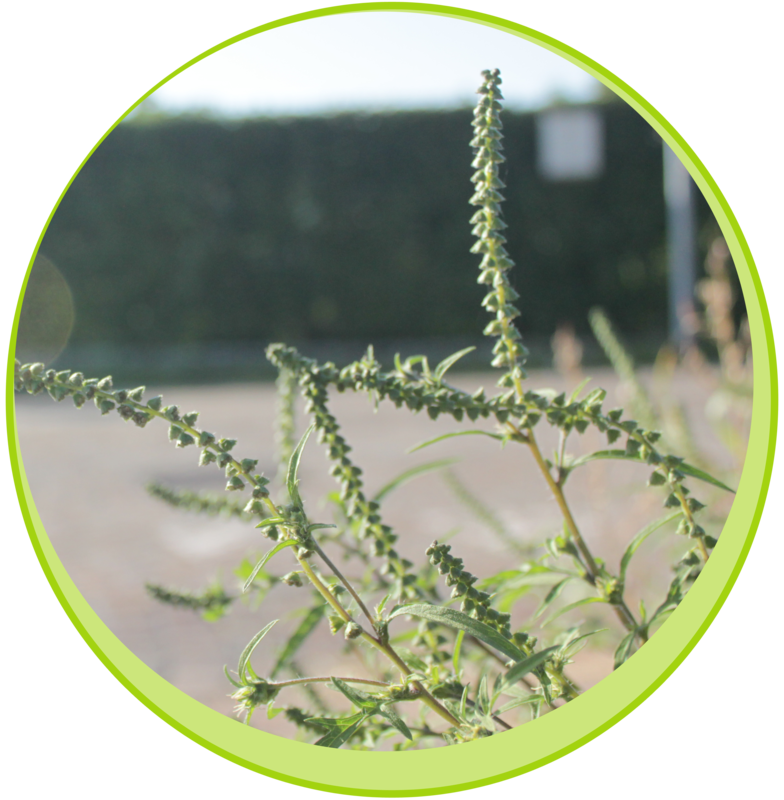 Interestingly, the highest ragweed sensitization rate was in an urban region with the lowest air quality, not the region with highest airborne pollen concentrations, suggesting influences other than pollen concentrations on Ambrosia sensitization rates. Mirjana Turkalj is a paediatrician with over 20 years of experience in the field of allergy and clinical immunology. She has been trained in centres of excellence for immunotherapy, food allergy and eosinophilic disorders in Europe and in the US. She is Head of the Department of Pulmonology and Allergology at the Children’s Hospital of Srebrnjak (CHS), Head of the Reference Center for Clinical Allergy in Children in the Republic of Croatia and a lecturer at the Medical Faculties of the University of Zagreb, Split and Osijek. Her work mainly focuses on translational biomedical research, including genetics, epigenetics, cell biology, molecular allergology and immunology, and immunotherapy. Her role in Atopica is to coordinate and supervise all tasks within the clinical work package regarding the children’s cohort, including recruitment of participants, case study (on children’s residence and mobility as well as exposure to pollen and air pollution at different sites) and follow up on their morbidity. Populations across Europe are ageing, with already more than 18% of European citizens enjoying age 65 or beyond. While allergies are afflicting an increasing percentage of children and young adults, and pose a burden on quality of life and productivity as well as treatment cost, data on prevalence and morbidity of allergic diseases in the aged are scarce. Total serum level of the allergen-reactant IgE decrease with age, but prevalence of sensitisation to indoor or outdoor allergens in the aged are not well established. Neither have large studies been directed at assessing the benefit of therapies such as desensitisation or antihistamines in the aged. Hospital admission rates for severe respiratory diseases and asthma increase in the elderly, and the importance of certain allergens may shift, as has been demonstrated in food allergy, where factors such as usage of drugs decreasing stomach acidity may be linked to food allergy to celery in the aged. Atopica scientists employed southern Germany as a model region, with one fifth of the population at age 65 or beyond, and with Ambrosia having just started to invade within the last decade, to study (I) whether allergies pose a burden on the aged, and (II) whether the aged immune system can react to newly encountered allergens, such as Ambrosia. Studying aged people from 60 to 89 years they found that while sensitisation decreases with age, rhinoconjunctivitis, eczema and asthma do affect more than a fifth of even the oldest age group (80 to 89years-old). 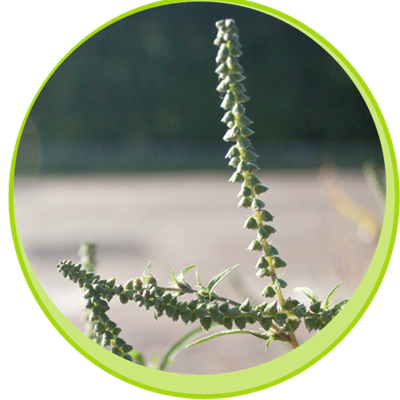 While birch pollen allergy, and especially hay fever, is the most common allergy observed in the aged as in the young, weeds such as mugwort, and cat dander are also of high importance. Even though more than 95% of the aged studied do venture outdoors daily, the indoor allergen house dust mite is the second most important allergen. 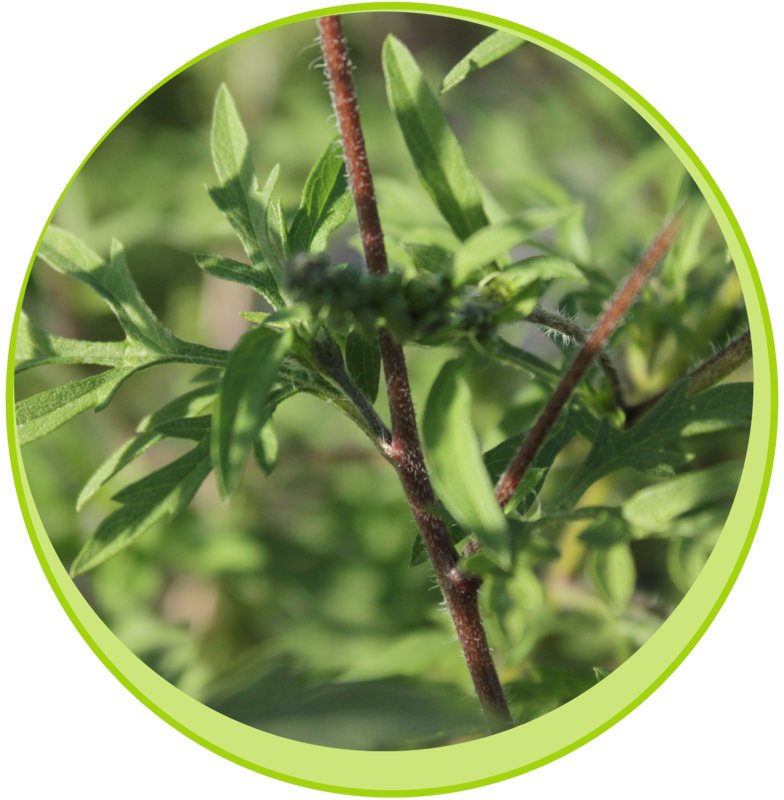 Ambrosia is an important allergen in a sizeable subgroup of allergic subjects in this age group, mostly in those sensitised to the native plant mugwort, whose allergens may induce antibodies cross-reacting with ambrosia pollen allergens. In the Atopica project, however, it was established that true de novo sensitisation to ambrosia may also occur in the aged. Depending on the age group (60-69yrs, 70-79yrs, 80-89yrs) to 3 percent of all aged subjects studied exhibited ambrosia sensitisation, some also already suffering from symptoms. This demonstrates that even the very aged are susceptible to acquire new sensitisations and allergies, if exposed to new allergens. As part of Atopica a longitudinal study was undertaken of daily allergy symptoms in Ambrosia-sensitised children. Eighty children (aged 4-11 years) across Croatia participated in the study. Over three Ambrosia pollen seasons (2012-2014) parents kept daily diaries (online and paper) of symptoms related to allergy (specifically nasal, eye and lung) as well as information on daily activities undertaken, medication, time spent outdoors and whether away from home on holiday. For each child the daily ambient weather, pollen and air pollution levels were obtained from nearby recording stations. These data were analysed using generalised estimating equations. 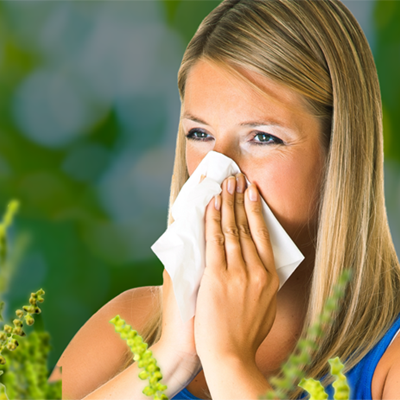 Preliminary results indicate that nasal, eye and lung symptoms are strongly related to Ambrosia pollen levels. However, the lags between pollen levels and effects vary between symptoms. These daily relationships with pollen were not linear and exhibited threshold effects. 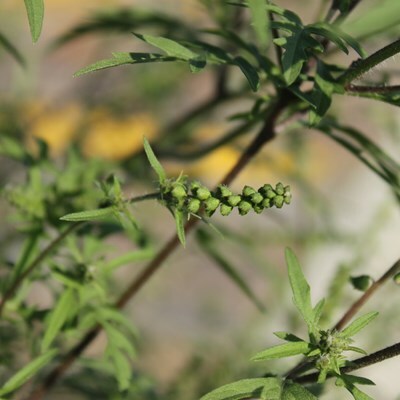 Ambrosia artemisiifolia (common ragweed) is a highly invasive plant with pollen that causes severe allergy and is spreading rapidly in Europe. To further study the allergen response to Ambrosia, we sought to establish an experimental animal model of Ambrosia-induced allergic disease. We administered commercially available pollen intranasally to laboratory mice over a period of up to 21 days. We then evaluated allergic responses. 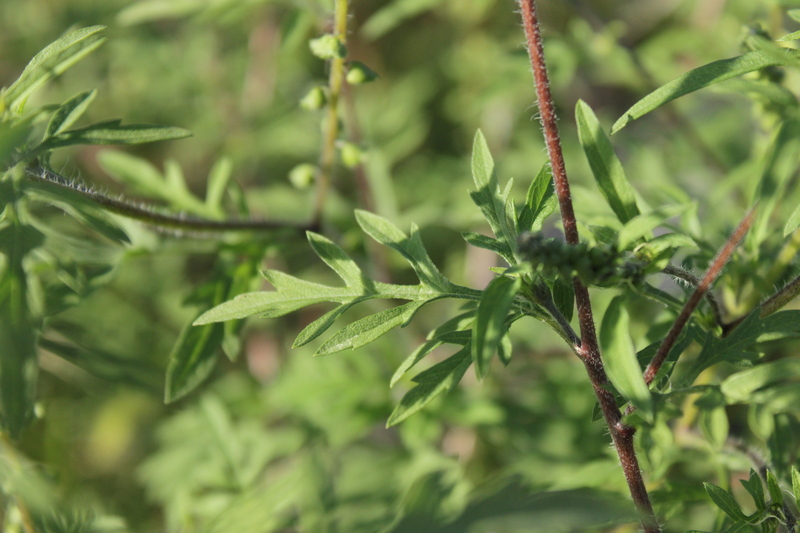 Groups of mice receiving intranasal ragweed pollen had severe allergic airway and lung inflammation, mucus hypersecretion and high levels of ragweed-specific antibodies. We observed that the administration of increasing doses of ragweed pollen induced a dose-dependent allergic response. This experimental mouse model provides novel opportunities to study allergic disease caused by pollens. For example, studies indicate that air pollutants like diesel particles have allergen amplifying effects and that allergenic pollens respond to climate changes such as extreme temperatures, changes in humidity, low pH and pollution. To determine whether environmental changes influence an allergen’s ability to cause more severe allergic disease, we investigated pollens from urban and rural regions in Austria and also studied pollens that were environmentally-modified in the laboratory. We found that there is a correlation between severity of allergic asthma and pollens from areas of high air pollution compared with those from rural areas. However, this was not replicated in the laboratory when the pollens were treated to diverse environmental conditions. 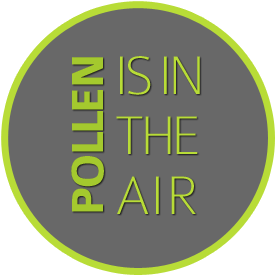 To date, no changes in pH, temperature and exposure to diverse pollutants did not result in pollens becoming more allergenic. In conclusion, our pollen allergic asthma mouse model is useful and further studies are necessary to elucidate the mechanisms underlying how environmental changes influence ragweed allergy in animal models and in humans. Atopy is an IgE-mediated clinical condition, characterized by hypersensitivity reaction to allergenes. The interplay between genetics and environmental factors in determining this condition is not fully elucidated. As partners of the ATOPICA project we are exploring how epigenetic landscape can be affected by environmental and pollen pressure leading to atopy development in European populations of different age groups. In particular, we present here the analysis of a well-characterized pediatric Croatian cohort recruited in the urban area of the Slavonia region, 4 to 9 years of age,and German cohort with elderly patients.Children underwent skin prick test (SPT) to a standard palette of inhaled agents (birch, hazel, grasses mix, ragweed, dog hair, cat dander, D. pteronyssinus, cladosporium) to determine their sensitization profile. Pollen concentration data in the recruitment area were also monitored. Blood samples were collected and processed for both DNA and RNA extraction; total IgE count was assessed. We performed whole-genome DNA methylation analysis on 59 unsensitized (control, negative SPT) and 57 sensitized children samples using methylated DNA immunoprecipitation technique (meDIP) coupled with next-generation sequencing. Data analyses revealed 591 differentially methylated regions (uncorrected p value<0.0005). Functional enrichment analysis of associated genes suggests regulation of pathways related to atopy and Th2 cell differentiation, immune system response-regulating signaling, such as MAP kinases, Toll-like receptors and NGF signaling pathways. In other analysis (German cohort),very similar but not identical results we obtained. The global pathway analisys show very similar results we found previously in Croatian cohort: immunological process,in particularly regulation of T or NK and again process regarding cell adhesion linked to DMR we found. The KIR2 are family of genes found in both male and female population. This genes are associated with function of natural killer lymphocyte,but until now not associated atopy syndrome. These candidate loci are currently being validated to confirm methylation status at single base-resolution and expression profile will be also assessed. Integration of those results with pollen and clinical data will provide an unprecedented assessment of the atopic and allergic phenotype in pediatric and elderly European population. Dejan Lazarevic is a medical doctor with twenty years’ worth of experience in molecular biology, cell cycle, regeneration of spinal cord, neurodegenerative disease and genomics. He has been involved in several technology-oriented projects and has participated as a partner in the Fantom (Functional Annotation of the Mammalian genome) project. Over the years, his research focused on methods for full length cDNA creation and on the production of next-generation sequencing data, for research and diagnostic purposes. More recently, he has been working extensively on panel design for the study and diagnostics of hereditary neuromuscular disease, acute lymphatic leukaemia and prostate cancer. His role in Atopica is to supervise and co-ordinate all the tasks pertaining to the genomics aspects of the project. Work undertaken in Atopica has indicated that the distribution of Ambrosia artemesiifolia will expand in the future and that its pollen will become more widespread. But what are the likely health consequences of these changes? A systematic review of the literature was undertaken identifying over 30 scientific studies reporting an Ambrosia sensitisation rate (defined as the percentage of individuals who experience an allergic reaction when exposed to Ambrosia pollen). These sensitisation rates from 20 European countries were combined with Atopica modelled current Ambrosia pollen levels to construct a dose-response curve relating background pollen to the proportion of the population sensitised to Ambrosia. This curve was then applied to Atopica modelled future pollen and European population data to estimate within country numbers of individuals sensitised to Ambrosia. In addition, clinically relevant Ambrosia sensitisation is estimated using country assessments of the proportion of sensitised people with allergic disease symptoms. Our best estimate is that across Europe the number of individuals with clinically relevant Ambrosia allergy is likely to more than double by 2041-2060. The majority of this increase is climate related. Most increase occurs in Northern France, Southern Germany and Southern Poland. Projections are greatly affected by the strength of measures to control the spread of Ambrosia. 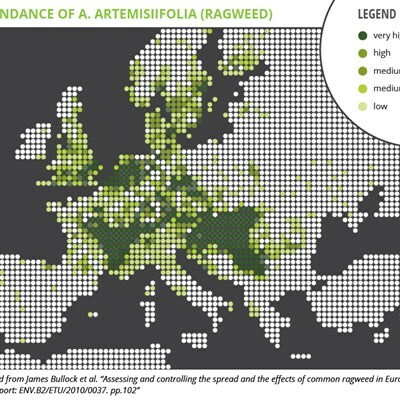 Atopica has aimed to better understand, and where possible to quantify, the key influences on the risk of allergic disease across Europe due to ragweed. In order to do this, we have had to consider physical environmental factors (climate, land cover, pollen and air quality) and human biology, together with socioeconomic factors and policy. The latter are important as they affect human behaviour, social conditions and medical interventions. Thus we have had to take a truly multi- and interdisciplinary approach involving climate scientists, plant and pollen experts, clinicians and statisticians. This has been both challenging and exciting. It has been exciting in terms of the new insights coming from integrating the multiple sources of evidence. In particular, it has allowed us to consider how the risk of allergic disease may change across Europe over the next few decades (specifically the near-future 2021-2040, and the far future, 2041-2060). 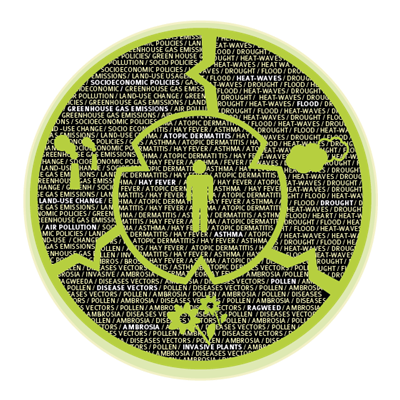 The challenges have come from having to develop an understanding of the technical jargon used by different disciplines, but more importantly in trying to integrate the very different types of data and information produced by the various project teams. How for example, can we combine information from the daily diaries for Croatian children recorded in their homes in 2013 and 2014 with climate model projections which provide information averaged over 50 km grid squares for 1985-2060? Each step of our analysis is based on a number of underlying assumptions and there are inevitably uncertainties which cascade through the integrated assessment. 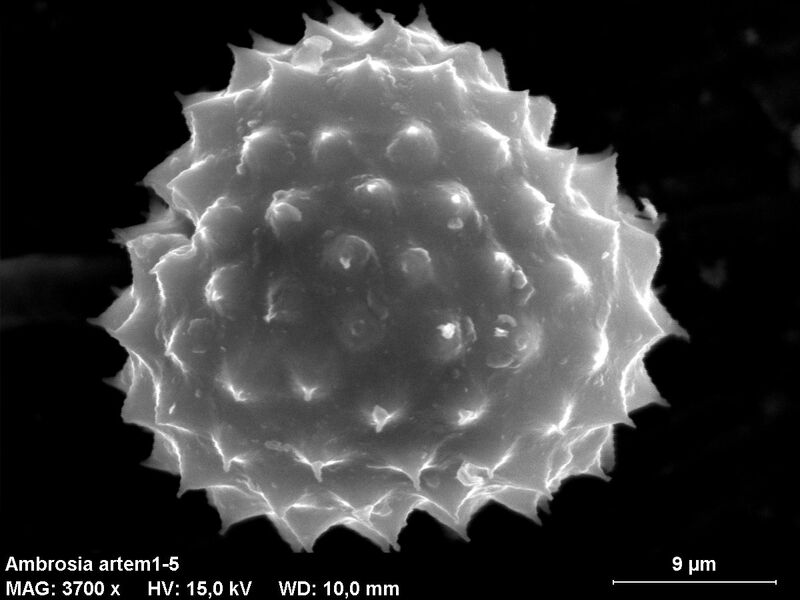 These include issues relating to the ability of dynamical climate models to simulate regional climate, lack of observed data for calibrating and validating our models (a particular issue for pollen data), gaps in our understanding of some processes (e.g., what influences the allergenicity of pollen?) and biases in our data (e.g., due to limited spatial sampling, or the ability of people to recall their medical history). 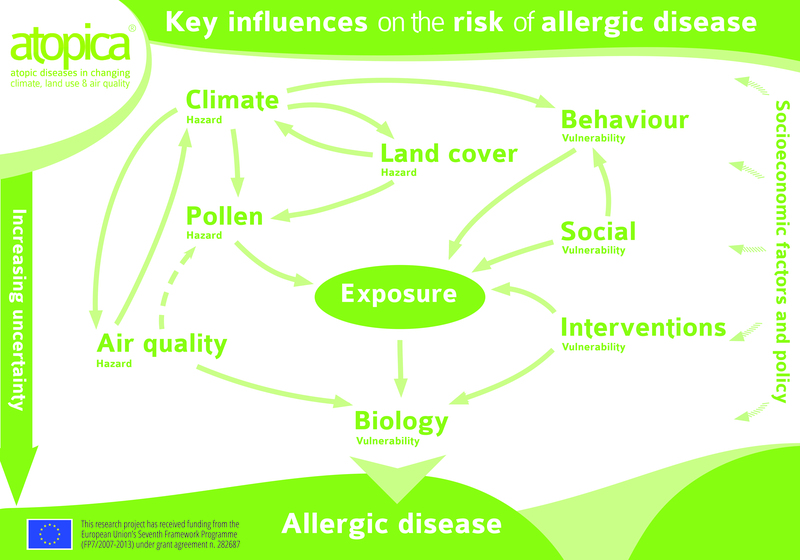 By being transparent about our assumptions and uncertainties, we are better placed to draw robust messages from our work which will help to inform European decision makers and policy makers on how to respond to changing risks in ragweed-related allergic disease. Clare Goodess is a Senior Researcher and Research and Administration Manager at the Climatic Research Unit of the University of East Anglia, where she gained over 30 years’ experience in the field of climate change scenarios. Her main current research focuses on the development and use of regional climate change projections, particularly with respect to extreme events and the representation of uncertainty. She has been working extensively with users and decision makers to ensure that these are used effectively and appropriately in climate change impacts and adaptation studies. She is a lead author on the recent IPCC Special Report on Extremes (SREX) and a contributing author for the IPCC Fifth Assessment Report from Working Group 1. Most recently she has been appointed as co-chair of the new World Climate Research Programme Working Group on Regional Climate. Abundance of Ambrosia artemisiifolia- adapted from James Bullock et al. 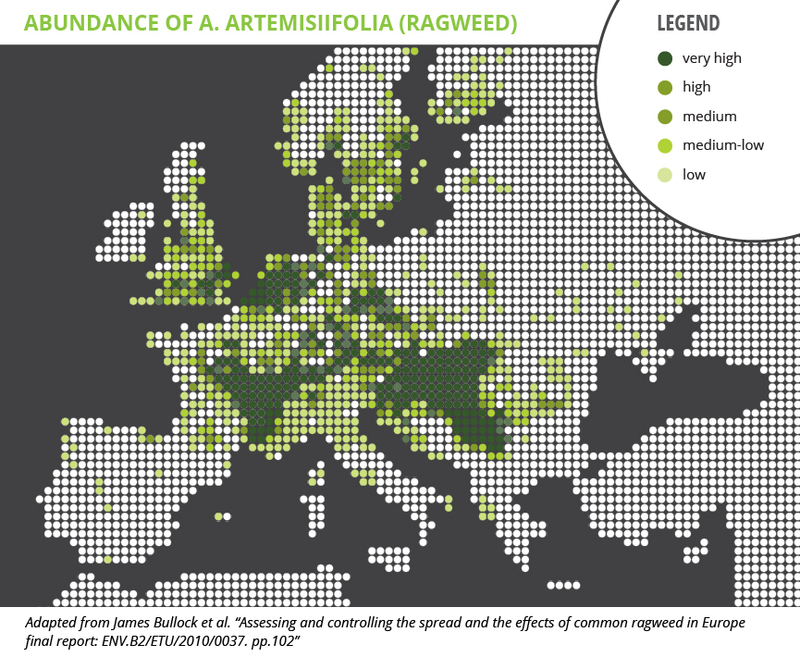 "Assessing and controlling the spread and the effects of common ragweed in Europe final report: ENV.B2/ETU/2010/0037 pp.102"
Distribution of Ambrosia artemisiifolia (common ragweed) in Europe under climate change as predicted by the process based model for A) near future (2010- 2030) and B) long-term future (2050-2070).